The Celtic Media Festival has revealed the names for its esteemed Torc Awards For Excellence. 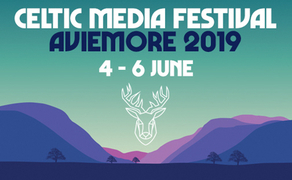 The winners are set to be announced at the 40th Festival this 4th – 6th of June in the historic setting of Aviemore, Scotland. Nominees from across the UK, Ireland, and Europe will compete across 23 award categories including arts, comedy, current affairs, drama, factual, sport and radio. In Best Comedy, a hotly contested category, nominees include ‘Northern Ireland’s newest comedy hit’ ‘Soft Border Control’ (BBC Northern Ireland), a brand-new comedy set on the border. This mockumentary shadows a fictional independent organisation backed by governments in London, Dublin, Belfast, and Brussels. In Best Current Affairs, ‘RTÉ Prime Time - Carers in Crisis’ (RTÉ One) focuses on highlighting the lack of care available for home carers in Ireland, with almost 200,000 people dedicating their lives to caring for loved ones. The second season from the critically acclaimed, darkly comic drama ‘Can’t Cope Won’t Cope’ (RTÉ2) is nominated in the Best Drama Series category. And in Best Factual Entertainment ‘The Rotunda’ (RTÉ2) tells the story of the world’s longest running maternity hospital, where close to one million Dubliners have been born and where every day some 24 new babies are added to that number. In Best Factual Series, ‘No Country for Women’ (RTÉ One) is a landmark series exploring Irish women’s lives since achieving the vote 100 years ago. We meet Irish women whose lives collided with discriminatory legislation and they learn how their contemporary struggles have echoes in recent history. The series examines how a new country founded on a vision of equality, created laws that benefitted men over women. It also looks at the long-term legacy of a century of government, legal and religious control over women’s lives. Can it be argued that, for much of its first 100 years, Ireland was in fact, No Country For Women? In Best History, award-winning director Callum Macrae's new feature documentary ‘The Ballymurphy Precedent’ (Channel 4) tells the story of the death of eleven innocent people killed by the British Army on a Catholic estate in Belfast in 1971, and the fight by their relatives and survivors to discover the truth. This is a massacre that few have heard of, yet it was one of the most significant events of the Troubles, coming as it did in the first days of internment and six months before Bloody Sunday. The Irish Nominees will be up against a cast of international productions including from Scotland: the much loved and critically acclaimed Scots sitcom ‘Two Doors Down’ (BBC Two) in Best Comedy; ‘Disclosure: Suffer the Children’ (BBC Scotland on One) in Best Current Affairs; In Best Single Drama, ‘The Party’s Just Beginning’ (Mt. Hollywood Films) written and directed by Scottish Hollywood superstar Karen Gillian; Best Sports Documentary, the BAFTA Scotland winning ‘Scotland’ 78: A Love Story’ (BBC One) and from Wales: Best Drama Series, critically acclaimed and Bafta Cymru award winning ‘Un Bore Mercher’ (S4C) is nominated; Best Single Drama, acclaimed poet ‘Owen Sheers’ takes us on a journey with ‘The NHS: To Provide All People’ (BBC Wales / BBC 2) and in Best Factual Entertainment, ‘Rhod Gilbert’s Work Experience’ (TG4) sees the award winning stand-up comedian Rhod Gilbert drop the mic and try out real jobs for a funny dose of work experience. Entries for the 2019 Awards surpassed the 500 mark with the festival consistently attracting a wealth of supremely talented submissions from across the range of Celtic Nations and regions. For the first time this year, the Celtic Media Festival has introduced the Short-Form category which will honour the best of the small but mighty successes in an area of media that has become more prevalent in recent years. Productions of all genres, up to and including 15 minutes in duration, were welcomed to apply with an incredible array of talent doing so. ‘Taisce Shorts’ has been nominated with ‘Champions League Skit’ telling a tale of would happen if a Dublin soccer star had such a strong accent he required dubbing. Click here to see the full list of nominees for the 40th Celtic Media Festival.